There’s nothing like a good spooky book to get you in the mood for Halloween. It’s that time of year when the weather is just right for sitting by the fireplace in front of Farrell with a good book and watching the fire and the changing leaves. In my opinion, it’s the perfect time to read some scary stuff. I can remember reading Edgar Allan Poe’s The Fall of the House of Usher on Halloween 2009; sixth-grade me was absolutely spellbound by the alien feeling of pleasing horror. For those who are unfamiliar with horror fiction: it’s an unfairly underrated genre that constantly questions reality and social structures, and it’s incredibly diverse. For this Halloween season (all of fall is spooky season to me), I recommend two great scary books, one classic and one modern: Shirley Jackson’s The Haunting of Hill House and Ahmed Saadawi’s Frankenstein in Baghdad. Jackson’s The Haunting of Hill House may be the haunted house novel: there have been numerous adaptations to film, most recently the Netflix series (which has absolutely nothing to do with the plot of the novel). 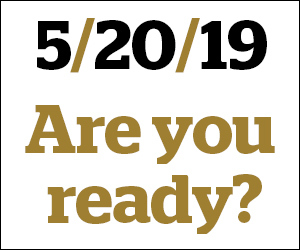 This is quiet horror — there is an atmosphere of incredible anxiety, but precious little grotesquerie. There is much more horror in the house itself, in its monumentality and its quiet evil, than there is in supernatural happenings. The neuroses of the characters contribute a great deal to the oppressive environment of Hill House; I do not have enough space to delve into the gender and social implications of the characters’ mental states. All you need to know is that, if you have not read The Haunting of Hill House, you should do so immediately. It is a classic of American literature, continuing the tradition of Poe into the twentieth century. Jackson is incredible at representing the claustrophobia of women’s roles in the mid-twentieth century; Eleanor in The Haunting of Hill House is like a 1950s version of the narrator in Charlotte Perkins Gilman’s The Yellow Wall-paper. Saadawi’s Frankenstein in Baghdad is much more original than the title suggests. This is not Pride and Prejudice and Zombies or other such shameless pandering to popular taste; it is an exploration of the problems faced in Baghdad in recent history, of the question of religion, of what constitutes a person. Saadawi dissolves the boundaries between “Middle Eastern” and “Western” literature by using references to Shelley’s Frankenstein within the frame of an Iraqi political, social and religious context. The result is surreal. The reality of the conflict, and the fantasy of the monster (here called “Whatsitsname”), combine to create an absurdist drama in which the meaning of identity is disturbed; it is more blackly funny and surreal than it is Romantic and gothic. 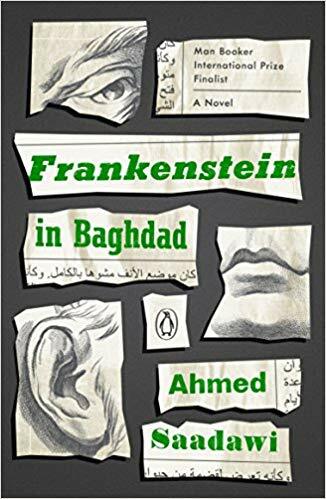 Frankenstein in Baghdad was the winner of the 2014 International Prize for Arabic Fiction, and was published in English for the first time in 2018. I recommend it to anyone who is interested in the Middle East or who enjoys Shelley and Kafka.